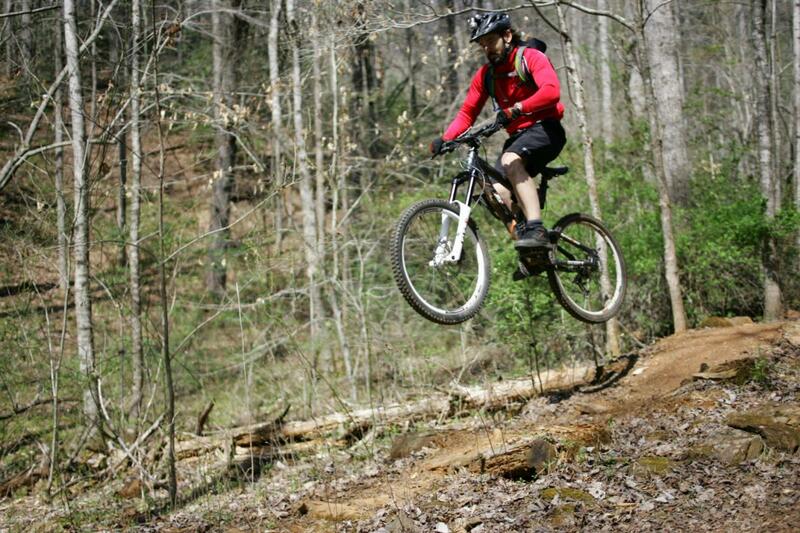 In November of 2002, the International Bicycling Association (IMBA) sponsored a Subaru Trail Care trail design workshop at the park in western North Carolina. The workshop resulted in a Memorandum of Understanding between the Corps of Engineers and the local IMBA chapter, the Brushy Mountain Cyclists. Following several hundred hours of volunteer work, planning sessions, and after employing sustainable trail building techniques, the first section was opened officially to the public during Memorial Day weekend of 2004. That weekend also say the area's first professional mountain bike race, "Burn 24," a time trial for world championship events of 24-hour endurance mountain bike competition. 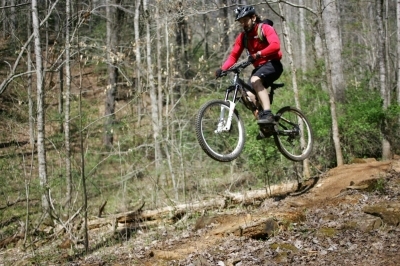 Since completion of the seven-mile trail the Dark Mountain Park multi-use trail system has become a popular destination of hikers, mountain bikers, and nature observers. The Dark Mountain trail will connect with the Yadkin River Greenway, when completed, and the Overmountain victory National Historic Trail. The trail's ultimate connection to recreational facilities along the Yadkin River Greenway such as the YMCA, Wilkes Community College, and the towns of Wilkesboro and North Wilkesboro, will make the trail a tremendous recreational resource on federal lands managed by the U. S. Army Corps of Engineers. This trail system has something for everyone. Photo by Singletracks.com/kamoteus.